Bill English today (24 April) announced his Cabinet re-shuffle. As expected, departing non-performers and walking public-relations-disasters, Nick Smith and Hekia Parata, were replaced by “rising stars” Amy Adams and Nikki Kaye, respectively. Both Ms Adams and Ms Kaye have conveyed a public perception of calm efficiency, without the PR cluster-f***s that have come to characterise Nick Smith and Hekia Parata’s erratic performances in their respective ministerial portfolios. Smith’s accident-prone political career reached it’s nadir in March 2012 when he was forced to resign for mis-using his ministerial influence on behalf of a close friend and National Party apparatchik, Bronwyn Pullar. Hekia Parata’s controversy-riddled career crashed in June 2012 when her proposal to increase class-room sizes was met with a deafening chorus of outrage from middle-class mums and dads. The backlash from voters was such that Parata was forced to back down in a humiliating policy u-turn. English’s re-shuffle puts new(-ish) faces into his Cabinet giving the illusion of “rejuvenation”. But more importantly, it removes Parata and Smith from public view and from media questioning. As housing and education are both going to be hot election issues this year, having Parata and Smith front to answer difficult questions regarding National’s problematic portfolios (health, education, housing, and dirty waterways) would be embarrassing. National’s tax-payer funded spin-doctors would be banging their heads against brick walls in sheer frustration. Adams and Kaye had very little of the baggage that their predecessors had, in abundance. “ I want to talk about the deputy leadership of the Labour Party. We lost Annette King. I want to acknowledge Annette King. She has been a brilliant member of Parliament. She is someone who has huge respect across the House—and we got Jacinda Ardern. Now, I have been based in Auckland Central for 8 years. I struggle to name anything that Jacinda has done. What I can say is that a great example is when Kevin Hague and I developed an adoption law reform bill. We spent a year on that bill; we put it in the ballot. Jacinda Ardern did a one-line bill telling the Law Commission to write the law for her. It was also in stark contrast to the 2014 General Election where Kaye and Ardern agreed to conducting an issues-driven campaign and not resort to increasingly dirty, personalised attack-politics. That agreement served both women well. They became (generally) more respected than their more “excitable” colleagues in Parliament who were not averse to “getting down and dirty in the bear pit of politics”. Bennett was making sure that Kaye’s vitriol would stick and no amount of charitable turning-the-cheek from Ardern would be allowed to dilute the venom. The result of this petty bickering, name-calling, point-scoring chest thumping is ongoing public scorn and derision at behaviour they would not tolerate from their own children. In her attack on Ardern, Nikki Kaye has shown that she is not above cheap politicking. It is not Ardern’s reputation that suffered when Kaye launched into her contrived bitchfest. “Robust” is one of those new ‘buzz-words’, like the increasingly loathed ‘resilient’ or weird-sounding ‘stake holders’. It can be used to disguise bullying behaviour that would not be acceptable in any other workplace. Imagine for a moment if the behaviour of personal attacks was replicated throughout society, in every workplace and home in the country. Such behaviour in domestic situations would be labelled domestic abuse. Very few would accept it as “robust discussion”. If Nikki Kaye (and all other Members of Parliament) wants to work in a constructive, professional manner instead of a toxic culture of threats, point-scoring, and abuse, each Parliamentarian is personally responsible for their own behaviour. Ardern’s mild response to Nicki Kaye’s verbal abuse, and refusing to pander to Bennett ‘egging’-on, has raised the standard of behaviour for her parliamentary colleagues. Ms Ardern was correct to refuse to lower herself to their level. Kaye, Bennett, et al need to raise themselves up. Nikki Kaye, don’t let yourself be persuaded by your colleagues to engage in behaviour you would find unacceptable elsewhere. Be the person you really are. You are better than this. One of Nikki Kaye’s “criticisms” of Jacinda Ardern was that she “struggle to name anything that Jacinda has done”. The simple reality that being in Opposition renders an MP with very little legislative power. Even when a Private Member’s Bill is drawn from the Ballot; debated; put through Select Committee process; and passed into law by a majority of MPs – it can still be vetoed by a dogma-driven Finance Minister. However, even in Opposition, Ms Ardern is not without her personal achievements. One of those parties has more faith in their candidate and her abilities than the other. And – wait for it! – an Aussie Prime Minister!! Ok, that line of Aussies was getting tedious. Let’s try something different. Or the current Brit Prime Minister. It’s obvious that our esteemed Dear Leader is not shy in front of a camera. So… what was that you were saying about photo-ops, Ms Kaye?! This blogpost was first published on The Daily Blog on 25 April 2014. Health care workers pay increase – fair-pay or fish-hooks? “ The National Government said that their signature 2010 income tax cut package would be ‘fiscally neutral’ — paid for increased revenues from raising GST. That hasn’t happened. The net cost for tax cuts has been about $2 billion. “ It’s one of those things we’d love to do if we had the cash. As the country moves back to surplus it’s one of the areas we can look at but I think most people would accept this isn’t the time we have lots of extra cash. Unions representing care and support workers are pleased to be jointly announcing with government a proposed equal pay settlement to 55,000 workers across the aged residential, disability and home support sectors. The proposed settlement is a huge win and will make a real difference in valuing the work of care and support workers and the people they support, workers in the sector say. It is a significant step in addressing gender inequality in New Zealand. Unions say the government is to be commended for agreeing to negotiate this settlement offer, rather than waiting for years before the legal process was finally exhausted. However, there remain unanswered questions to this “deal”. On 18 April you announced that disability, residential care, and home and community support services will have their pay increased in a pay-equity settlement costing $2 billion over five years. 1. Why was the settlement not back-dated when MPs automatically have their pay-increases backdated? Especially when negotiations with relevant parties was announced nearly two years ago on 20 October 2015 (by yourself) and has been on-going since. 2. Will workers who are deemed to qualify for pay-equity wage increases be determined solely by their employer? 3. What measures will be put in place to ensure that workers are paid appropriately and pay increases not arbitrarily with-held by employer(s)? 4. You state that the amount of $2 billion will be “spread over five years” and increases will be implemented incrementally over an annual basis. If so, how will that incremental amount be determined? 5. If the answer to Q4 is “yes”, will the planned increases be inflation-adjusted, to prevent any increase being watered-down by inflation? 6.Will the settlement amount be increased over time to compensate for annual rises to the Minimum Wage? 7. Will the equal-pay settlement and increase in wages have any impact on future Union-Employer wage negotiations? Or will future negotiations and demands for pay rises be considered a part of the pay-equity settlement? 8. Will NGOs who qualify for the pay equity settlement for their workers have their Budget-allocations cut in other areas? 9. How will pay rises for workers who quality for pay equity settlement impact on contract negotiations with relevant NGOs? 10. You state that “The $2.048 billion settlement over five years will be funded through an increase of $1.856 billion to Vote Health and $192 million to ACC. ACC levies are set for the coming years, but may possibly increase over the next decade to support this”. If ACC levies rise, will workers who qualify for the settlement be compensated for having to pay an increased ACC levy? The [Cabinet] documents also indicated the government would reduce the amount of special education funding spent in the school sector, and dramatically increase the amount spent on those under the age of five. As implications of Parata’s scheme began to percolate through the education sector, reaction was scathing. I won’t be celebrating until I read the fine print and get some answers. This blogpost was first published on The Daily Blog on 23 April 2017. Only an hour and a half earlier, Trump has been “considering retaliatory action” over the Syrian government’s alleged use of sarin gas at Khan Shaykhun, in the Idlib Governorate. That was fast work. A cynic might suggest that the attack had been planned well in advance. Trump made no discernible attempt to deal with the Russians – Syria’s main sponsor – to determine who had launched the poison gas attack on Khan Shaykhun. There was no “deal making” in evidence as Trump gave the order to unleash the destructive firepower of 59 American ‘Tomahawk’ cruise missiles. It is, however, not unknown for middle east despots to use poison gas to suppress rebel groups, as Saddam Hussein did in March, 1988, in Halabja. Saddam’s target at the time were Kurdish rebels fighting for independence. Some 6,800 men, women, and children were killed outright, and estimates put the eventual civilian death toll at 12,000. In 1988, during the waning days of Iraq’s war with Iran, the United States learned through satellite imagery that Iran was about to gain a major strategic advantage by exploiting a hole in Iraqi defenses. U.S. intelligence officials conveyed the location of the Iranian troops to Iraq, fully aware that Hussein’s military would attack with chemical weapons, including sarin, a lethal nerve agent. When considering a crime and it’s possible perpetrator(s), law enforcement officials take into account motive, means, and opportunity. The Assad regime certainly has two of the criteria: means and opportunity. … “Why would Assad do such a thing?” Syria was en route to a new round of peace talks. More importantly, she was about to enter negotiations in which the usual American, British and French demands that “Assad must go!” were to be, for the first time since the Syrian Civil War broke out in earnest, quietly put to one side. Having won the war on the ground, the Assad regime was on the brink of clearing away its enemies’ unrealistic preconditions. Finally, a serious conversation about Syria’s future could begin. And yet, we are being invited to believe that, with all this at stake, President Assad ordered the use of Sarin gas on his own citizens. Somehow, instigating a reprehensible war crime against women and children was going to strengthen his moral authority. Somehow, by revolting the entire world, he would improve his chances of being accepted as Syria’s legitimate ruler. Somehow, by embarrassing the Russian Federation, his country’s most valuable military ally, he would enhance Syria’s national security. The whole notion is absurd. Did Assad believe that he could get away with it? Did he feel that Russia’s success in East Ukraine and Crimea, and the West’s unwillingness to challenge Moscow’s flexing of its “hard power” gave him free license to use whatever means he had at his disposal? Did Assad feel emboldened at Trump’s “close relationship” with Russia’s President Putin? The fear of chemical weapons is the real terror of war. Less than 0.5 percent of casualties during World War I were attributed to chemical weapons, yet the Great War has become synonymous with their use. The current conflict in Syria and Iraq depicts a similar picture. ISIL employs a morbidly brilliant psychological warfare, and chemical weapons are the ultimate psychological weapon against all their enemies. It would seem unlikely to engage in such a risky gamble. Especially for such little military advantage. It would be a colossal mis-judgement on Assad’s part if he thought that reliance on Western inertia and Trump’s isolationistic worldview would pay off. …denied claims that the military used chemical weapons in the western city of Idlib. Speaking at a news conference on Thursday, Muallem said an airstrike by Syrian military had targeted an arms depot where chemical weapons stockpiles were stored by Islamic State (IS, formerly ISIS/ISIL) and Al-Nusra Front militants. He said it’s impossible that the army – which has been making significant gains in almost all theaters of the Syrian war – would use banned chemical weapons against its “own people” and even terrorists. The lack of clear motive on Assad’s part raises real doubt as to who launched the gas attack on Khan Shaykhun. There have been suggestions that rebel groups operating in Syria to overthrow Assad’s regime launched the gas attack as a ‘false flag’ operation to draw the U.S. into the conflict. I have doubts on this. In theory, the embargo aims to prevent anti-aircraft weapons getting into the hands of terrorists who might down civilian planes. Yet such weapons exist on the black market; since the US has gone out of its way to prevent the FSA from getting any – even from there – the weapons that do get snapped up end up in the hands of anyone but the FSA. While warplanes and helicopters had replaced tanks as the main form of regime slaughter by mid-2012, this US embargo blocked not only anti-aircraft but also anti-tank weaponry. Thus only small arms and ammunition were allowed, in the face of a massively armed regime continually supplied by Russia and Iran. US pressure is clear: Only “vetted” groups get TOW [anti-tank] missiles, sometimes only three or four at a time, they have to apply for them for specific operations, and they have to return the shells to make a claim for more. Even favoured groups soon found supplies dwindling, and the program diminished by late 2014. The House voted for the first time today to explicitly authorize the incoming Donald Trump administration to arm vetted Syrian rebels with anti-aircraft missiles. While the language in the annual defense bill also creates restrictions on the provision of the controversial weapons, it represents a win for Senate Armed Services Committee Chairman John McCain, R-Ariz., a fervent advocate of helping the rebels resist President Bashar al-Assad and his Russian and Iranian allies. Trump was outspoken about his reluctance to get dragged into the Syrian civil war throughout the presidential campaign. He has since picked hawkish advisers and candidates for Cabinet positions, including retired Marine Gen. James Mattis as secretary of defense. Mattis is well known in military and foreign policy circles for his aggressive determination to take on America’s foes, notably Iran, including in Syria and Iraq. The new provision “would require the secretary of defense and secretary of state to notify the congressional defense committees, the Senate Foreign Relations Committee and the House Foreign Affairs Committee should a determination be made to provide MANPADs to elements of the appropriately vetted Syrian opposition,” according to the explanatory statement accompanying the compromise bill. “The conferees expect that should such a determination be made, the requirement for the provision of such a capability and the decision to provide it would be thoroughly vetted by and receive broad support from the interagency”. To date, use of anti-aircraft weaponry by rebels forces has been minimal. If the US was wary of handing over anti-tank and anti-aircraft weaponry to Syrian rebel groups – from where they could disperse to who-knows-where – it is hard to believe that even more deadly weapons such as poison gas would be permitted into rebel hands. If anti-aircraft missiles could be used by ISIS operatives to bring down civilian passenger jets – imagine those same operatives with poison gas in subways in New York, London, Paris, Moscow. Which suggests that the only other ‘player’ in the Syrian civil war capable of deploying chemical weapons would be a sovereign state. “Assad has an air force, and that air force is the cause of most of these civilian deaths as we have seen over the years and as we saw again in the last few days. And I really believe that we should have and still should take out his air fields and prevent him from being able to use them to bomb innocent people and drop sarin gas on them. Her strident jingoism confirms her critic’s description of her as a warmonger. We can excuse Trump’s political inexperience, naivete, and unsophisticated view of the world around him. This is a man who gets his “news” from the Republican Party-mouthpiece, Fox News, or the far-right Brietbart website. His political development appears arrested and not to far from that of an adolescent. Trump may blunder into WWIII but a President Hillary Clinton would apparently have egged it on. With decades of political experience behind her, Clinton should know better. She has no excuse for her simplistic jingoism. She should also have deeper insights into Middle East politics than this. Her willingness to perpetuate the Syria-Is-Guilty narrative cannot be excused as easily as Trump’s stupidity. Which means she is manipulating current events for her own agenda. With the planet edging closer to WWIII, whatever ‘game’ she is playing is a dangerous one. World War III – Are we there yet? Moscow’s unofficial mouthpiece, RT News, relayed a chilling message to Washington’s power-establishment (not Trump) to ‘back off’. Russian Prime Minister Dmitry Medvedev warned that the illegal missile attack the Syrian airfield was putting the US “on the verge of a military clash” with Russia. Not since the Cuban missile Crisis in October 1962 have the two nuclear-armed super-powers faced off, bringing the planet to the verge of atomic annihilation. At that time, the Cold Warriors of the former USSR and USA still remembered the destruction caused by WWII. The Soviets, in particular, understood what Total War meant. Hopefully someone in his national security council is advising Trump that real war is not like ‘The Green Berets’ or ‘Hogan’s Heroes‘. In a world of vicious dictators, Syria’s Bashar Assad tops the list as a dictator who has killed hundreds of thousands of his own citizens to protect his own power and wealth. His regime’s use of chemical weapons against the men, women and children of his country, in violation of all international conventions and moral standards, makes him a war criminal. As the most powerful nation on earth, the United States must work with the international community to bring peace and stability to Syria, where over 400,000 people have been killed and over 6 million displaced. The horror of Syria’s civil war is almost unimaginable. If there’s anything we should’ve learned from the wars in Iraq and Afghanistan, in which the lives of thousands of brave American men and women and hundreds of thousands of Iraqi and Afghan civilians have been lost and trillions of dollars spent, it’s that it’s easier to get into a war than get out of one. I’m deeply concerned that these strikes could lead to the United States once again being dragged back into the quagmire of long-term military engagement in the Middle East. If the last 15 years have shown anything, it’s that such engagements are disastrous for American security, for the American economy and for the American people. The Trump administration must explain to the American people exactly what this military escalation in Syria is intended to achieve, and how it fits into the broader goal of a political solution, which is the only way Syria’s devastating civil war ends. Congress has a responsibility to weigh in on these issues. As the Constitution requires, the president must come to Congress to authorize any further use of force against the Assad regime. Further, the US must work with all parties to reinforce longstanding international norms against the use of chemical weapons, to hold Russia and Syria to the 2013 deal to destroy these weapons and to see that violators are made accountable. There appears to be mixed-messaging from Sanders on this issue. The only positive from Sanders is that he would (apparently) “work with all parties to reinforce longstanding international norms against the use of chemical weapons“. Though naming Syria and Russia in the same breath ignores the reality that these weapons still exist in American stockpiles and Israel has refused to ratify treaties to eliminate them. However, anything that pulls Moscow and Washington back from the brink of the abyss of WWIII must be viewed positively. At this point, Sanders appears less insanely unstable than Trump, and certainly less insanely hawkish than Clinton. Israel also possesses atomic bombs – which seems not to concern Washington one bit. It would not be an over-statement to point out that detonating an atomic weapon over the Middle East would set the planet on fire. #1 How can bombing a Syrian government airbase “stop further atrocities” when it has not been clearly established who was responsible for the gas attack on Khan Shaykhun? Is that not “jumping the gun” (excuse the inappropriate metaphor) before guilt/innocence is proven? #2 Considering that English refuses point-blank to initiate a Commission of Inquiry into a 2010 SAS raid in the Tirgiran Valley, in Afghanistan – despite a former Minister of Defence confirming that there were civilian casualities – is the National government in a moral position to endorse a potentially illegal bombing of Shayrat airbase? #3 There is no firm evidence that the Assad regime is guilty of using poison gas on Khan Shaykhun – why has English rushed to judgement and pre-determined guilt? #4 There is evidence that the SAS may have committed war crimes in 2010 in the Tirgiran Valley – why has English rushed to judgement and pre-determined innocence? #5 English’s “moral compass” is highly dubious, to put it politely. Washington’s renewed appetite for military adventurism in the Middle East (which, by the way, rarely ends well) has cloaked two recent events that the White House wanted off the nation’s front pages and lead-bulletins. …White House officials said, the ideologist who enjoyed the president’s confidence became increasingly embattled as other advisers, including Mr. Trump’s daughter and son-in-law, complained about setbacks on health care and immigration. Lately, Mr. Bannon has been conspicuously absent from some meetings. And now he has lost his seat at the national security table. In a move that was widely seen as a sign of changing fortunes, Mr. Trump removed Mr. Bannon, his chief strategist, from the National Security Council’s cabinet-level “principals committee” on Wednesday. The shift was orchestrated by Lt. Gen. H. R. McMaster, Mr. Trump’s national security adviser, who insisted on purging a political adviser from the Situation Room where decisions about war and peace are made. Bannon, though, was not taking his removal from the NSC quiety, threatening to resign if his removal went ahead. One does not have to be political scientist to realise that a power struggle is taking place in the White House – a struggle for ascendancy over a President who appears easily influenced. In short, the new chronology is this: White House officials leaked intelligence information to Nunes, who then announced them last Wednesday as fresh revelations, saying that he had received them from an unnamed source and that the White House was unaware. Nunes then made a show of going to the White House to brief President Trump on revelations that had come from his staff in the first place. The administration finally used the information to claim vindication on its still-evidence-free claims that President Obama surveilled then-candidate Trump. Nunes blamed unnamed “left-wing activists” for his “voluntary stepping down”. Devin Nunes is the second (third? I’ve lost count) casualty from Trump’s erratic presidency, following on from the resignation (not “voluntarily temporarily stepping down”) of national security adviser Michael Flynn on 13 February. Laudible and noble. What righteous person doesn’t love children? One man said he lived in Greenwich, Connecticut, where [Donald] Trump has a home, and there were plans to relocate Syrian refugee families there. He asked Mr Trump if he could “look children aged five, eight, ten, in the face and tell them they can’t go to school here”. Mr Trump did not hesitate and said he could, which brought applause from the crowd. It is a shame that Mr Trump wasn’t considering “beautiful babies” and “children of God” during his election campaign last year. Even Breibart ‘News‘ reported Trump’s comments. Rebel forces in Syria report that Syrian President Bashar al-Assad is now using chemical weapons on them. Moreover, intelligence operatives from the West have confirmed those reports as well. But there has yet to be a peep out of the Obama administration over it. The strike was aimed at deterring another chemical weapons attack by the regime. This is the same far-right Breitbart ‘News’ where Steve Bannon – Trump’s current Chief Strategist – once held the position as Executive Chairperson. President Trump ordered a military strike on Syria Thursday night in response to a recent chemical attack. By Friday afternoon, a supportive PAC was fundraising off of the strike. “Last night, President Trump ordered military action against Syria in response to their chemical weapons attack,” an email from the Great America PAC, first flagged by Dave Levinthal at the Center for Public Integrity, read. “59 United States tomahawk missiles destroyed the airfield used to store Syria’s toxic weapons and aircraft involved in the Sarin gas attack. The message asks respondents to vote on whether they approve of the strike and subsequently includes a request for money. The email was signed by Ed Rollins, currently the national co-chair of the PAC who joined the group in May of 2016. Thank you for your vote. President Trump sent a message to the world by striking Syria. Help us support our Commander-in-Chief by making a special contribution below. It should come as no surprise. There has always been money to be made from war, especially in the American Empire where industries such as Lockheed Martin, Raytheon, Northrop Grumman, Bell Helicopter Textron, and many others have made billions in profits making weapons for the US military. But it must be a novelty (or new low, depending on which way your moral compass is pointing) that a political fund-raising organisation has exploited death and destruction to raise cash for their candidate/office-holder. Especially when that death and destruction may be predicated on a lie. This must give even the most ardent Trump supporter pause for thought. …And at least one previous Trumpista has indeed paused, thought, and turned his back on the Orange One. Although this may be fake news/false flag/deception/deep-state conspiracy and the real Paul Watson is safe aboard the Mothership, along with JFK, Trotsky, Elvis, and Doris Day. Israel’s arrogant sense of entitlement extends it’s military operations from Gaza and the West Bank to another sovereign state – Syria. Vladimir Putin has called Turkey “accomplices of terrorists” and warned of “serious consequences” after a Turkish F-16 jet shot down a Russian warplane on Tuesday morning, the first time a Nato country and Moscow have been involved in direct fire over the crisis in Syria. The Russian president, speaking before a meeting with King Abdullah II of Jordan in Sochi, said the plane had been shot down over Syrian airspace and fell 4km inside Syria. Putin said it was “obvious” the plane posed no threat to Turkey. The Syrian conflict is a quagmire with multiple players – both state and various armed factions. The complexity of the conflict – coupled with information that may or may not be true – creates a potential powder-keg. In some ways, I am reminded of Europe, in 1914; an interwoven web of imperial powers jostling for supremacy; strategic alliances; revolutionary groups; unstable monarchies; and ethnic tensions. The drums of war are beating, and they are getting louder. This time, we may have to rely on the stability of the Russian leadership to deliver us from another Sarajevo, 1914. That stability appears dangerously lacking in Washington right now. Citizenship rightly should be prized and earned. It is not a commodity to be traded. Which brings us to the curious case of Peter Thiel, the controversial American billionaire whose “exceptional circumstances” somehow allowed him to become a citizen of this fine country. He apparently had a strong desire to be a citizen of a country he hardly visited – certainly not enough to qualify for an application in normal circumstances. So was it the fact that citizenship enabled him to bypass the Overseas Investment Office’s scrutiny when he bought his Wanaka property? You’d have to say given all his amazing qualities, that shouldn’t have been a problem anyway. I listened to Xero boss Rod Dury – a strong supporter of Mr Thiel’s application – not surprising given Mr Thiel made a significant investment in Xero. Mr Drury accepted that many successful people like Peter Thiel want a bolt hole in case it all goes pear-shaped in the Northern Hemisphere. And if you could afford it, why wouldn’t you? But is that what it really comes down to? That we are a convenience, a Hobbit-themed panic room for the super rich? Let’s just call it for what it is: We are a haven for sale. The great irony, of course, is that any implosion in the Northern Hemisphere could likely be triggered by another of his influential friends; the man he backed for the US presidency: Donald J Trump. Perhaps Mr Thiel knew something we didn’t? BBC: Who is supplying weapons to the warring sides in Syria? The Daily Blog: Gas Attack In Khan Sheikhoun! But why would Bashar al-Assad blow himself up? This blogpost was first published on The Daily Blog on 10April 2017. On 3 April, our esteemed Prime Minister, Bill English, announced that there would be no independent commission of inquiry into allegations of civilian deaths, injuries, and deliberately destroyed homes in a SAS-led raid in Tirgiran Valley in 2010. It was also alleged that a prisoner was handed over to Afghan security forces where torture was a well-known interrogation technique. English’s explanation for refusing an impartial inquiry defies credulity. In effect, an instigator of an alleged crime – the NZ Defence Force – was asked to provide a reason to avoid an inquiry. The NZDF duly complied. What did English expect, a full admission of wrong-doing by New Zealand forces in Tirgiran Valley? A written, signed confession? Is this to be the new standard of accountability from National? That any allegations of impropriety is put to alleged offenders; they deny wrong-doing; and English accepts said denials without question? Both statements are currently viewable on the NZDF website. By resisting calls for an inquiry, English has implicated himself in a possible cover-up. There is no other way to interpret his words. 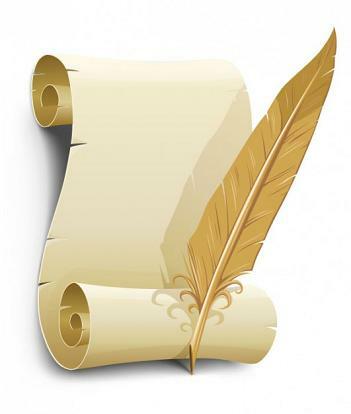 Letter to the editor – Commission of Inquiry, NOW! This blogpost was first published on The Daily Blog on 5 April 2017. Since the release of Nicky Hager and Jon Stephenson’s “Hit and Run” on 21 March, the public has been treated to denials and conflicting information from the NZDF. Both statements are currently viewable on the NZDF website. They are irreconcilable. Journalists Hager and Stephenson have presented considerable evidence to back up their investigation findings, including death certificates for those killed in the SAS-led raid. Bill English has refused to undertake a commission of inquiry for reasons that remain unclear. Until an Inquiry is held, there exists a cloud of suspicion hanging over the NZDF, and the SAS. This is not good enough, especially as there is ample evidence innocent people may have been killed. What more does Mr English need to warrant an inquiry? This blogpost was first published on The Daily Blog on 1 April 2017.